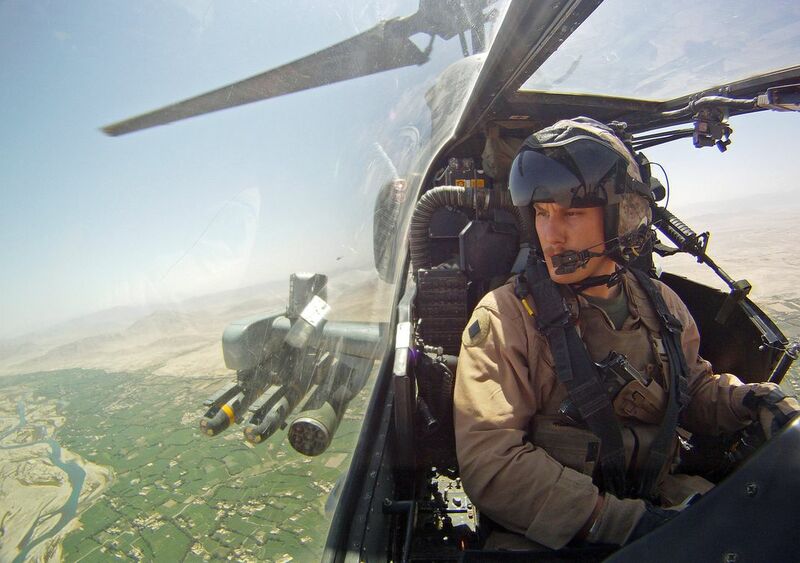 Captain Lobpries took this self-portrait while serving with Marine Light Attack Helicopter Squadron 267 in Afghanistan. "Photojournalists—both civilian and active-duty military—do a fantastic job documenting history and telling the stories of men and women in uniform, but there are, however, some angles they can't capture," says Lobpries. "Today's small-format cameras allow people in extreme environments—such as the cockpit of a Cobra Attack helicopter in combat—to capture and share images of what they see and do on a daily basis." Date Uploaded: March 23, 2013, 11:59 p.m.